Healthcare businesses face a unique set of challenges including increasing costs for care and services and decreasing efficiencies. Regulations are also constantly changing and the pressure to find new ways to remain profitable is a constant concern. Streamline operations and protect your bottom line by implementing a robust enterprise resource planning (ERP) solution. Administrators and office managers of healthcare facilities are tasked with satisfying both their healthcare professionals and patients while trying to remain profitable. Regulatory challenges and paper-based processes make it difficult to promote transparency, adhere to increasingly strict compliance restrictions, and manage the volumes of data that is created each day. Though the healthcare industry might seem chaotic and inefficient, your healthcare facility can be far more efficient with the support of a powerful ERP solution such as Microsoft Dynamic® GP. 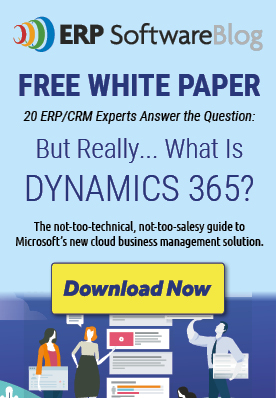 Microsoft Dynamics GP can improve the way your staff enters, accesses, and shares data by replacing paper-based and manual systems with time-saving automations. Your administration team can use this integrated solution to manage the day-to-day operations of your facility. Manage financials, inventory and supply chain, and human resources and payroll activities easily and efficiently. You can monitor budgets, make sure you have the supplies needed for patient care, and ensure your facility is meeting financial goals. Moving from paper-based processes to electronic documents will also make it easier for your team to respond faster to regulatory agencies or prepare compliance reports. You can use any of the built in report formats or customize your own and quickly turnaround a report needed by management, regulatory agencies, financial institutions, or others. Microsoft Dynamics GP offers powerful business intelligence features that your administrative team can use to leverage the data you generate each day to become even more efficient and profitable. You can gauge the use of supplies, for example, and take advantage when suppliers offer promotions or discounts for items you know will be used. You can also monitor seasonal labor needs and schedule staff at your facilities to best meet the needs of your patients. Manage your healthcare facility with efficiency in the midst of a healthcare industry that seems to be in a constant state of flux. Contact Sherwood Systems to learn how ERP can improve your productivity and protect your bottom line.